All journals can be found by searching the online library catalogue. If you would like to search for journal articles, please use one of the bibliographic databases listed under Digital Resources. You can use TOCS-IN (Table of Contents of Interest to Classicists) to view and search the contents pages of Classics, Near Eastern Studies, and Religion journals. This database is freely available online. 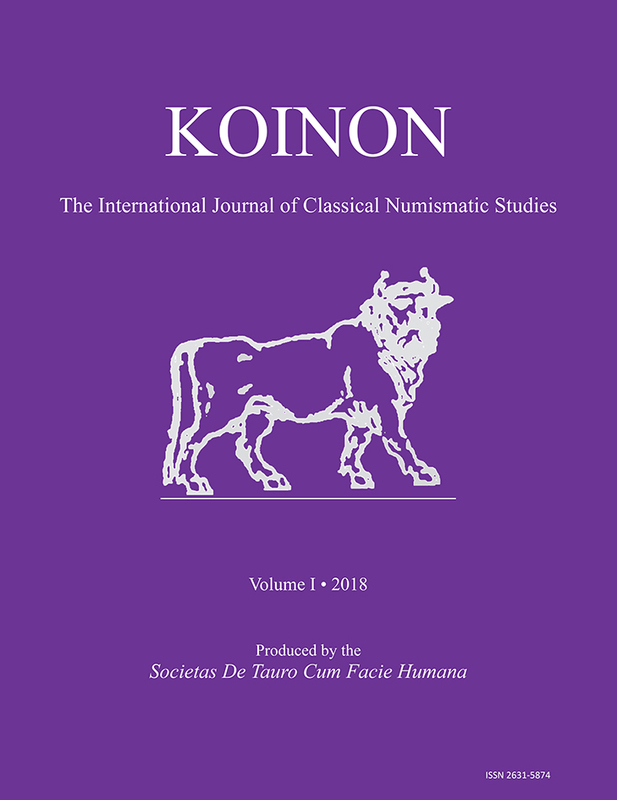 9 January 2019 The Joint Library now receives the periodical Koinon: The International Journal of Classical Numismatic Studies, a new journal published by Archaeopress, Oxford, as an exchange with Prof. Nicholas J. Molinari. 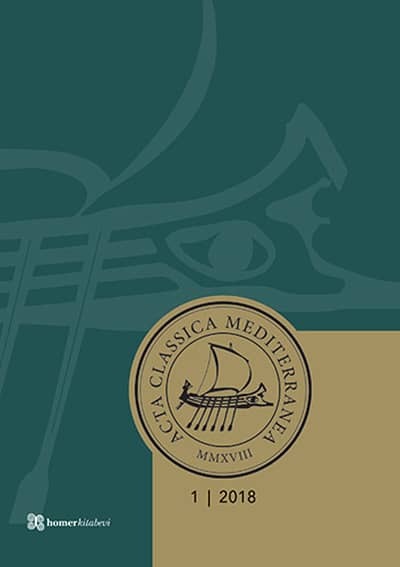 4 January 2019 The Institute now receives the periodical Acta Classica Mediterranea, a new journal published by Homer Kitabevi, Istanbul, as a purchase. The Journal includes articles in English and German, and has a separate section about inscriptions in Asiae Minoris. 16 April 2018 The Joint Library now receives the periodical Saguntum: papeles del laboratorio de arqueología de Valencia from volume 49, 2017 onwards, as an exchange of publications with the Departament de Prehistòria i Arqueologia of the Universitat de València, Spain. 26 March 2018 The Joint Library now receives the periodical Bulletin de l'Association pour l'Antiquité Tardive from volume 11, 2002 onwards, as the gift of Christopher Sparey-Green. 25 November 2017 The Joint Library now receives the periodical Geistes-, sozial- und kulturwissenschaftlicher Anzeiger from volume 150, 2014 onwards, as an exchange of publications with the Österreichischen Akademie der Wissenschaften. It continues the journal Anzeiger der philosophisch-historischen Klasse, from vol. 148, 2012, onwards. 15 November 2017 The Joint Library now receives the periodical Der Altsprachliche Unterricht, Latein, Griechisch from volume 2011 (2) onwards, as the gift of Professor Gesine Manuwald. 30 October 2017 The Joint Library now receives the periodical British School at Athens newsletter from volume 1, 2017 onwards, as an exchange of publications with the Library of the British School at Athens. It will replace Annual report of council: British School at Athens which will no longer be published. 5 October 2017 The Joint Library now receives the periodical Philia: international journal of ancient Mediterranean studies from volume 1, 2015 onwards, as an exchange of publications with the Eskiçağ Dilleri ve Kültürleri Bölümü (Department of Ancient Languages and Cultures) of the Edebiyat Fakültesi (Faculty of Literature) of the Akdeniz Üniversitesi of Antalaya. 14 August 2017 The Joint Library now has the journal The International Journal of the Platonic Tradition, volumes 1-7, 2007-13, as the gift of Dr. Anne D.R. Sheppard. 6 July 2017 The Joint Library now receives the periodical Invigilata Lucernis from volume 32, 2012 onwards, as an exchange of publications with Università degli studi di Bari Ardo Moro. 18 May 2017 The Joint Library now receives the periodical Problemi I issledvanija na trakijskata kultura from volume 8, 2016 onwards, as part of our exchange of publications with the Bulgarian Academy of Sciences. 17 May 2017 The Joint Library now receives the periodical Strata: Bulletin of the Anglo-Israel Archaeology Society from volume 33, 2015 onwards, as the gift of our Deputy Librarian Paul L. Jackson. 12 May 2016 The Joint Library now receives the periodical Notizie di Archeologia del Veneto from volume 1, 2012 onwards, as an exchange of publications with the Soprintendenza di Archeologia del Veneto. 20 April 2016 The Joint Library now receives the periodical Lucerna: The Roman Finds Group newsletter from volume 50, 2016 onwards, as the gift of Gaetano Ardito. 19 April 2016 The Joint Library now enjoys an exchange of publications with the Dipartimento di Scienze Umanistiche at the Università degli Studi della Tuscia. As part of this exchange, the first volume of the periodical Analysis archaeologica (Vol. 1, 2015) has arrived..
18 February 2016 The Joint Library now receives the periodical AUSTER : revista del Centro de Estudios Latinos, from volume 8/9, 2003/04 onwards. 20 January 2016 The Joint Library now has a subscription to the periodical HiMA : revue international d'histoire militaire ancienne from volume 1 (1-2), 2015 onwards. 20 October 2015 The Joint Library now enjoys an exchange of publications with the Department of Theatre Studies of the University of Patras. As part of this exchange, the first 4 volumes of the periodical Logeion: a journal of Ancient Theatre have been received. 28 July 2015 The Joint Library now receives the periodical Religion in the Roman Empire from volume 1, 2015 onwards, as the gift of Professor Gesine Manuwald. 11 December 2014 The Librarian is pleased to report that the Joint Library now has a subscription to the periodical Quaderni norensi from volume 1, 2005 onwards. 29 November 2014 The Joint Library now subscribes to the periodical Rivista di diritto ellenico from volume 1, 2011 onwards. 6 September 2014 The Institute Library now subscribes to the periodical Herom : journal on Hellenistic and Roman material culture, from volume 1, 2012 onwards. 11 June 2014 The Joint Library now subscribes to the periodical Rationes rerum : rivista di filologia e storia, from volume 1, 2013 onwards. 15 April 2014 The Joint Library now enjoys an exchange of publications with the Dipartimento di Lettere at the Università degli Studi di Perugia. As part of this exchange, the first 4 volumes of the periodical Al : rivista di studi di anthologia latina have been received. 15 April 2014 The Librarian is pleased to report that the Joint Library now subscribes to the Journal of ancient history from volume 1, 2013 onwards. 11 March 2014 The periodical Rhizomata : a journal for ancient philosophy and science is now taken by the Joint Library by virtue of an exchange arrangement with the Department of Philosophy and History of Science at the University of Athens. 4 July 2013 The Joint Library now receives the periodical Scripta classica, founded in 2004 in the Department of Classical Philology, University of Silesia in Katowice, from an exchange partner in Poland. 20 March 2013 The Joint Library now subscribes to the journal Tellus : a magazine for modern poetry which brings ancient worlds to new life, published by the Faculty of Classics at Cambridge University, from vol. 1, 2010 onwards. 18 December 2012 The Joint Library now receives the periodical Erentzias on exchange with the Soprintendenza per i Beni Archeologici per le Province di Sassari e Nuoro in Sardinia. 15 December 2012 The Joint Library now enjoys an exchange of publications with the Soprintendenza per i Beni Archeologici dell'Abruzzo in Chieti. As a part of this exchange, the first volume of Quaderni di archeologia d'Abruzzo has now been received. 12 July 2012 The Librarian is pleased to report that the Joint Library now receives the Journal of archaeological numismatics on exchange. 12 July 2012 The Joint Library has received the first volume of a new periodical,To Archaiologikó Érgo stēn Ánō Makedonía, as a gift from the British School at Athens. 10 July 2012 The Joint Library now receives Kolner und Bonner Archaeologica from volume 1, 2011 onwards as part of an exchange arrangement with the Institut fur Kunstgeschichte und Archaologie in Bonn. 31 January 2012 The Librarian is pleased to announce that the Joint Library now receives Herculaneum archaeology from issue 1, 2004 onwards as a gift from the Friends of Herculaneum Society. 7 December 2011 The Joint Library now subscribes to the journal Hadrian's wall archaeology from vol. 1, 2010 onwards. 25 November 2011 The Librarian is pleased to report that the Joint Library now enjoys an exchange arrangement with Hecht Museum in Haifa, Israel. As a part of this exchange, the Library receives the journal Michmanim. 17 November 2011 The Joint Library now receives the journal Archeologia in Liguria as part of an exchange arrangement with the Soprintendenza per i Beni Archeologici della Liguria. 16 November 2011 The Librarian is pleased to report that the Joint Library now receives the journal Studi ellenistici as part of an exchange arrangement with the Dipartimento di Scienze Storiche del Mondo Antico in Pisa. 15 June 2011 The Library has just received the first volume of a new journal, Japan studies in classical antiquity, from the Classical Society of Japan in Kyoto. 14 June 2011 The Library has just received the first volume of a new journal, Archaiologiko ergo kretes, from the University of Crete in Rethymnon. 14 April 2011 The Librarian is pleased to report that the Joint Library now subscribes to the journal Trends in Classics from volume 1, 2009 onwards. 22 March 2011 The Institute of Classical Studies Library now subscribes to the Bulletin of the Ain-Shams Center of Papyrological Studies and Inscriptions. Volumes 1 - 27 (1985-2010) have now been received. 25 January 2011 The Librarian is pleased to report that the Joint Library now receives the journal Histria Antiqua from volume 1, 1995 onwards, as part of an exchange with the Arheološki Muzej in Split, Croatia.